Fab.com, a furnishing start-up called for a fire sale after raising over $336 million stating that its business model failed the estimated hit. In contrary to this, Made.com has curated a realistic business grounds to kick-start its feat. Made has managed to avoid the US and slowly built a significant European business by working right away with designers of all sorts, from furniture to abstract. It is a big day for Made as it proclaims a new fundraising of $60 million growth to escalate its European expansion. The evolution is led by Partech Growth Fund and buoyed up by Fidelity Growth Partners as well as existing investor Level Equity. Made stands firm in other countries like UK, France, Italy, Germany, Belgium and The Netherlands, which collectively have an estimated market size of over £100bn. Moreover, it’s playing it well in Germany, where Fab famously fell apart. The success mantra of Made is, it works with designer and manufactures across the world directly to tender its products at prices up to 70% lesser than the high street, with quality maintained. Made is proved to be the trendsetter by introducing a “fast fashion” business model. In an interview to The Telegraph, Chloe Macintosh, Co Founder of Made.com attributed innovation as a key factor for success. The godfather of Made, Ning Li conceived the idea while furnishing his flat in Paris. He wanted to get cheaper yet good quality, designer furniture that was possible only when there was a direct dealing with the manufactures. Hence, Ning Li together with Brent Hoberman, Julien Callede and Chloe Macintosh, the latter of whom left in June contemplated Made. They are retaining the majority stake. Ning launched Made in the UK in April 2010. It has also appointed The John Lewis Partnership as an independent director to the board and the retail guru Susanne Given, formerly of SuperGroup Plc. 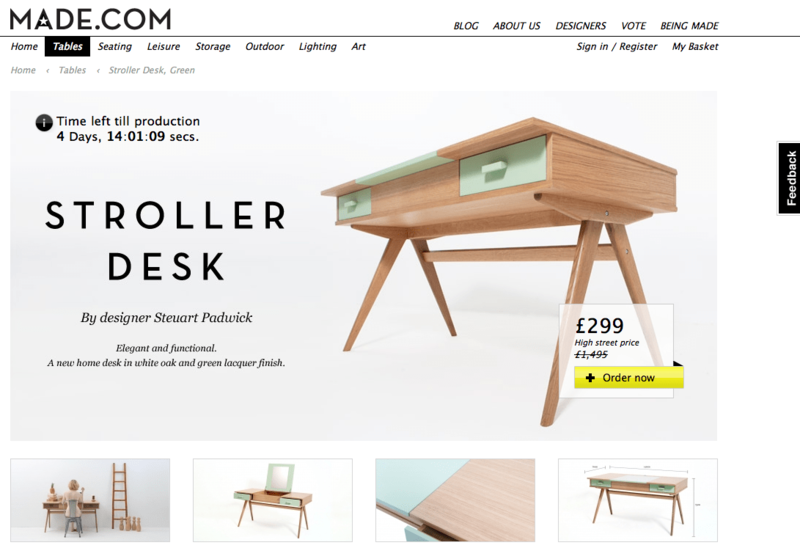 Last year, Made.com beheld a revenues growth of 63pc, hitting £43m. International sales are at 30% of turnover, which as per Li’s expectation, will certainly rise to 50% in next few years. Indie creators can sell their products in minutes using Toucan!